Tim might be tiny, but his scones are enormous! A cream tea for one at Tiny Tim’s consists of two huge scones (one plain and one sultana). 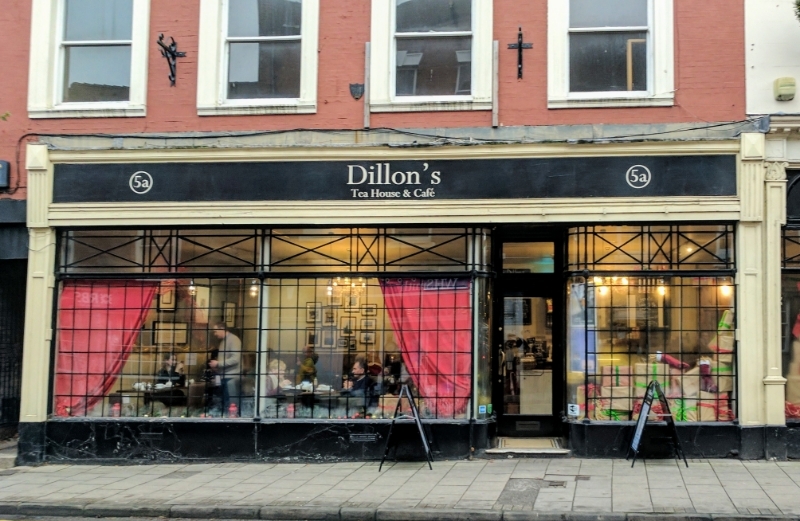 Fortunately, we had opted to share a cream tea, otherwise we may not have been able to fit through the shop door on our way out. We are often critical of large scones, as they can be dense, heavy affairs and the amount of jam and cream provided is not of an appropriate ratio. The warmed scones here however, were light and delicious, perfectly cooked through and with a lovely crunch on the outside. First class. A good quantity of lovely, golden clotted cream served in a small white dish. Butter was also provided which, as we have said in previous reviews, we find unnecessary, but others may not. A good quality strawberry jam was presented in a small dish. On serving, we were prompted to ask for more if required, so we did. Two dishes was the perfect amount for the four open scone halves. 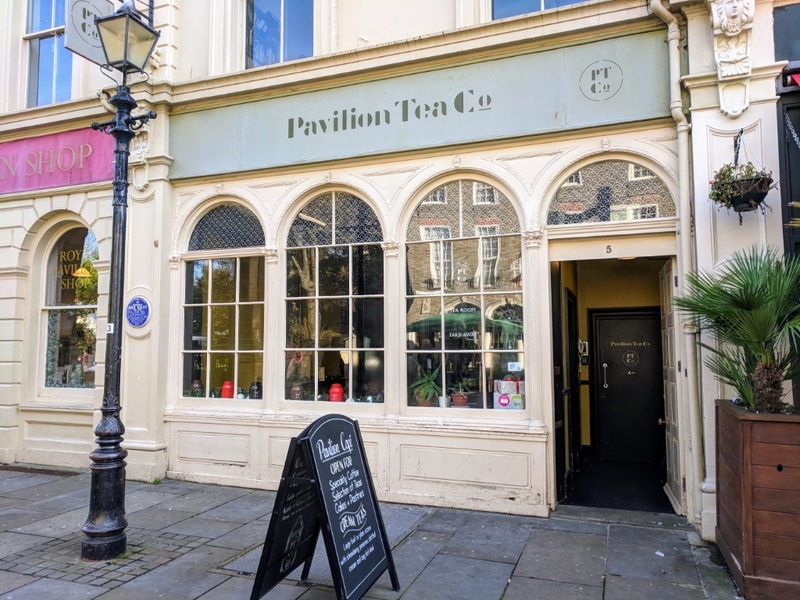 Tiny Tim’s Tearoom has a great range of loose leaf teas on offer. We chose the Russian Caravan (being the closest to our favourite Lapsang Souchong). We were a little disappointed with the depth of flavour and smokiness, but we also had a pot of Bentley Blue, which had a very pleasant floral flavour. 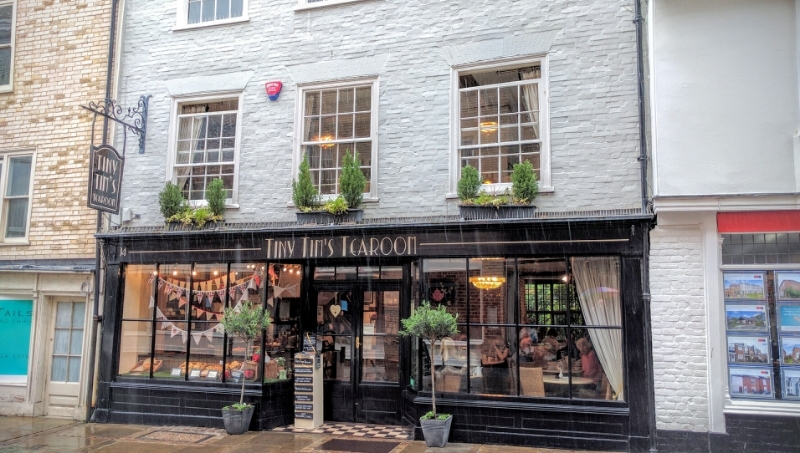 Presenting itself as a ‘quintessential English tearoom’, Tiny Tim’s didn’t disappoint. Often, old building tearooms like this can feel tired, or overly touristy, but that was certainly not the case here. 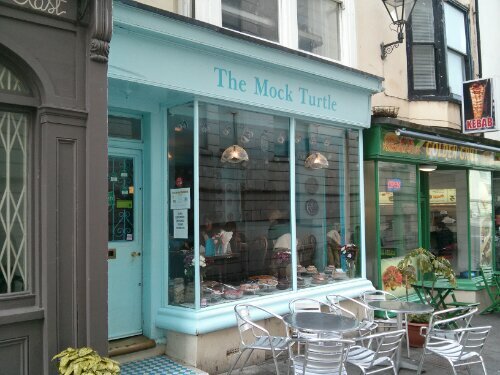 The staff were very friendly and the table and tableware spotlessly clean. With size of these scones however, we left wondering if a ‘cream tea for one’ had ever been managed by one person.